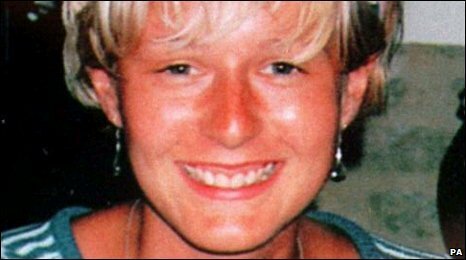 A man has been arrested in connection with the death of 25-year-old Melanie Hall who disappeared from a nightclub in Bath 14 years ago. Her remains were discovered by workmen at the side of the M5 near Bristol in 2009. Here is a timeline of events since she disappeared in 1996. A missing persons inquiry is launched after the disappearance of Melanie Hall from a nightclub. Melanie is last seen sitting on a stool on the edge of the dance floor at Cadillacs nightclub at 0110 BST. Melanie's boyfriend speaks of his sorrow at her disappearance while police begin a search of the River Avon in Bath. A reconstruction of Melanie's last known movements is shown on the BBC's Crimewatch programme. Melanie's parents Steve and Pat launch a fresh appeal for information about their daughter's disappearance. Police divers again search a stretch of the River Avon between Cleveland Bridge and Chatham Row but find no clues. Two men in their 30s from the Bath area are arrested and released on police bail. A search of farmland and properties at Inglesbatch, near Bath, is called off. Officers investigating the disappearance appealed for a new witness, believed to be called Shelley, to come forward. "She may not realise it but she could have crucial information that would help our inquiry," says Det Supt Barrie Douglas, who is leading the investigation. Two men arrested in March are released without charge. Coroner Paul Forrest records an open verdict on Melanie's death at an inquest requested by her parents. Mr Forrest speculates that Melanie was killed soon after she went missing. "We feel somehow that we're running out of time - we would just like an outcome," Melanie's mother says during an emotional appeal for information on the 10th anniversary of her disappearance. A bag containing human bones and a skull is found in a black bin liner by a motorway workman clearing vegetation next to a slip-road at junction 14, near Thornbury, South Gloucestershire. A post-mortem examination of the bones, including dental records, reveals that they are the remains of Melanie Hall. Avon and Somerset Police arrest a 38-year-old man from Bath over Melanie's disappearance and murder after he went voluntarily to Manvers Street police station.